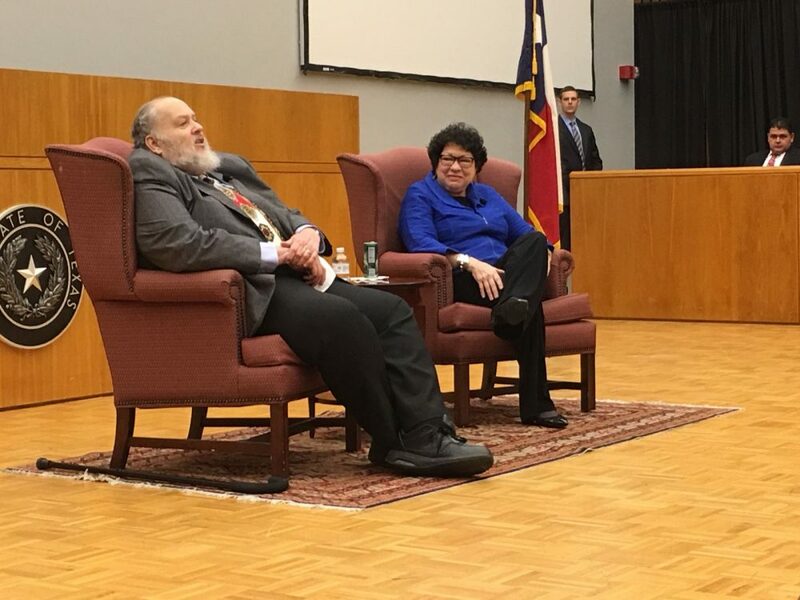 U.S. Supreme Court Justice Sonia Sotomayor (right) and Michael Olivas, Director of UH’s Institute for Higher Education Law & Governance (left), talk in front of the audience at the University of Houston’s Law Center, on January 26th, 2018. In order to achieve meaningful changes, the people who advocate for them have to convince “everybody” because, otherwise, they will end up being just temporary changes, U.S. Supreme Court Associate Justice Sonia Sotomayor said on Friday to a University of Houston’s audience that asked her questions about a myriad of current issues, from politics to racial inequalities impacting the justice system. 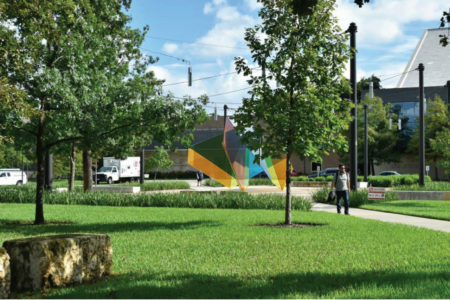 The event took place at the Law Center’s Krost Hall and it was a discussion with faculty members and students. 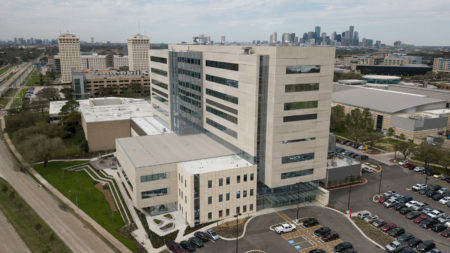 Some local and regional big names in the realm of law, such as UH’s Law Center Dean Leonard Baynes, Harris County Attorney Vince Ryan and Texas Supreme Court Justices Eva Guzman and Jeff Brown, also attended. Shortly into the event, the Justice broke protocol and started moving all around the crowded room shaking hands with the attendees, many of whom were visibly thrilled to be so close to a member of the U.S. Supreme Court. During her open conversation with the attendees, Sotomayor said she favors that law schools start providing ethical training to its students as early as possible and also advocated for promoting more pro-bono work. The Justice took the opportunity to stress that the Supreme Court works very hard to make clear its independence. 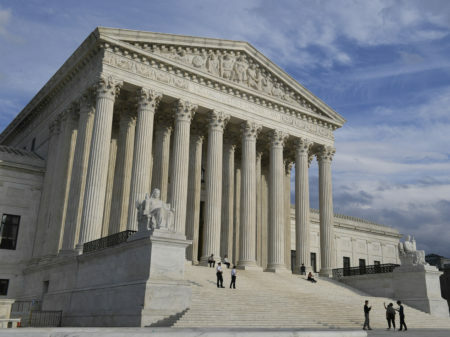 “I think the Court is very, very sensitive to ensuring that it goes only as far as it believes the Constitution requires,” Sotomayor emphasized, while adding that one of the factors that make the difference is that Justices thoroughly explain their arguments in their decisions. The Justice also shared anecdotes about her personal life, such as how she dealt with diabetes when she was diagnosed at a young age. “I found out nothing limits your life. If you take care of yourself, you can do anything you wanna do in life,” Sotomayor told the crowd. 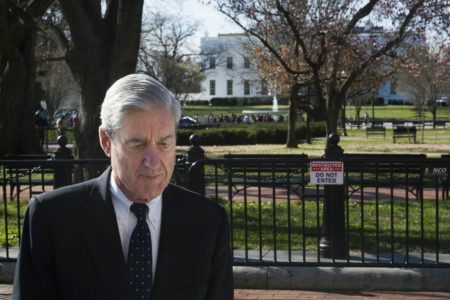 The Justice also referred to the dire situation residents of Puerto Rico –the place of birth of her parents– are still enduring because of the devastation caused by Hurricane Maria. “Everyone in Puerto Rico is still suffering,” lamented Sotomayor, who explained that supplies are limited and added that the public health situation is also difficult because of the contamination of water supplies, among other factors.